THANK YOU to everyone who has been a part of this journey! I’m so thankful to do what I love and to have met so many wonderful people through doing what I LOVE! Back on Set for Scary Mommy! I’m always happy to get back on set with the Scary Mommy team! And especially glad to be asked back to continue the Welch’s Fruit Snacks campaign – ‘Dream vs. Reality’. 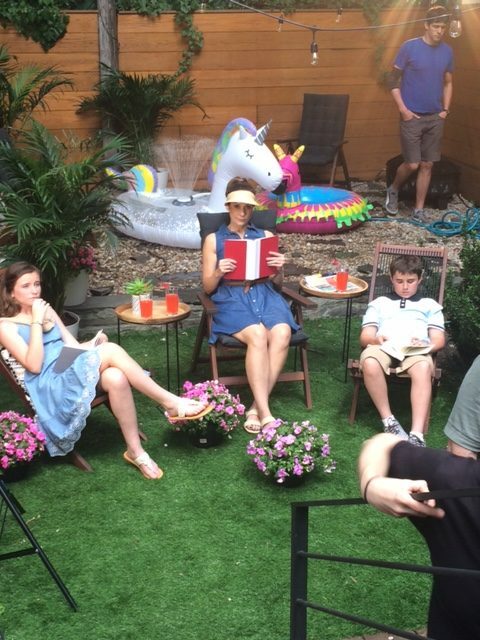 This is an End Of Summer spot – to be released right before the kids go back to school! Sure to go viral, as this team – and these videos – are proven winners! My First Video for THE DAD (…and as a brunette)!!! I’m so happy to have been invited to play for the newest video from The Dad! The Dad is brought to you by the team behind Scary Mommy and they have a knack at developing relevant, smart, funny viral videos! I’m featured in this month’s issue of The Journal! 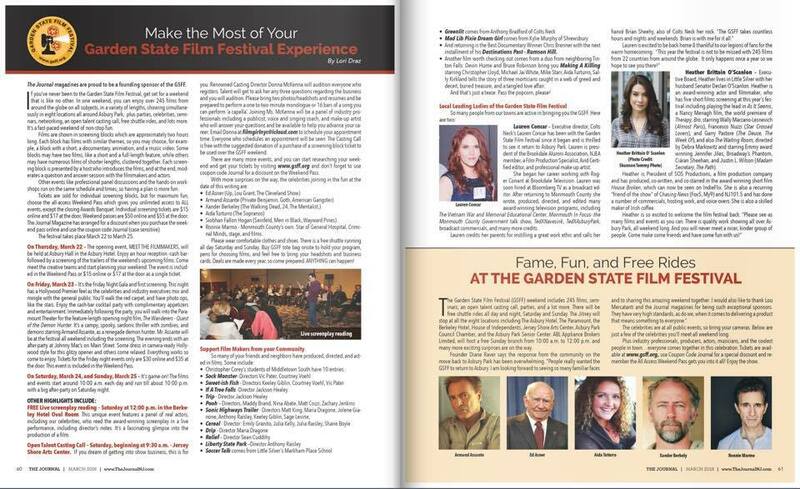 Please check out the fantastic article in The Journal NJ on all things GSFF and whet your appetite for what’s to come in two weeks (OMG – 2 WEEKS!!!) with the Garden State Film Festival!!! There’s an outline of the highlight events and parties, local filmmakers, some of the celebrities who will be in attendance (including Christopher Lloyd, Xander Berkeley, Armand Assante, Ed Asner, Ronnie Marmo), and learn a little more about our new Executive Director (and 16 year GSFF veteran), Lauren Concar and board member, actor and filmmaker Heather Brittain O’Scanlon! Article starts on Page 60! 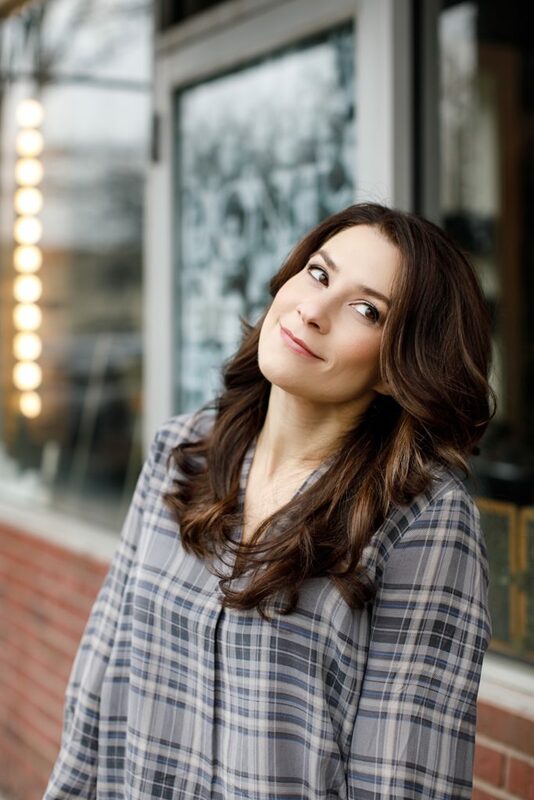 BREAKING NEWS – I’m a Brunette. Do not adjust your screens. This is not a drill. Best Actress Nomination for “The Gift”! 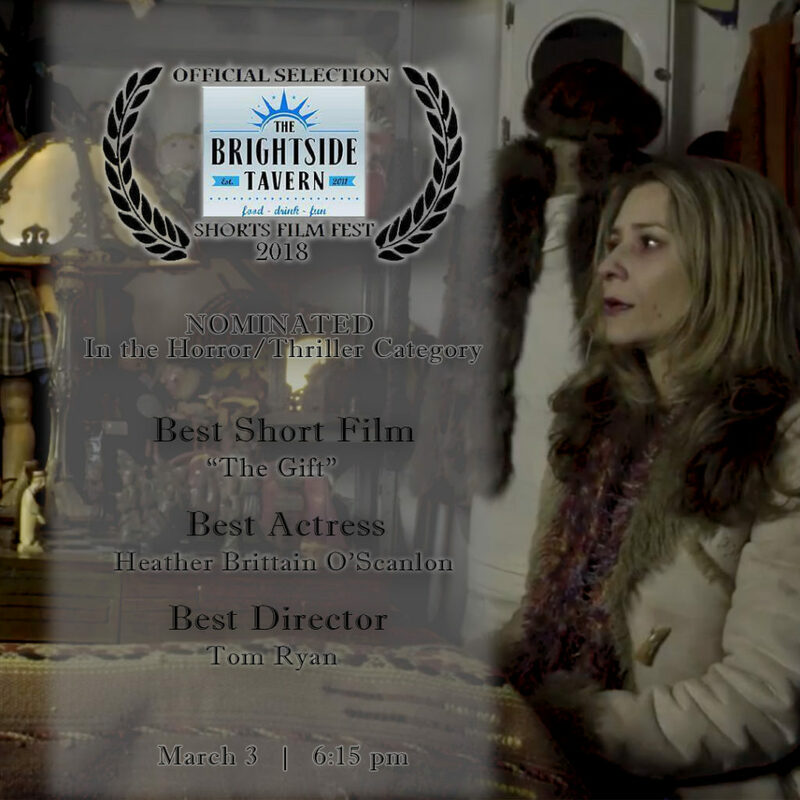 I am so honored to be nominated for Best Actress at the The Brightside Tavern Shorts Fest Film Series for Theatre of Terror’s “The Gift” – along with our director Tom Ryan, for Best Director – and a Best Horror/Thriller nom for the film itself! “The Gift” screens March 3rd at 6:15 PM at the Brightside Tavern in Jersey City. FIVE of My Films Selected for the Garden State Film Festival! Annnnd the good news keeps rolling in this week! I am so very honored to have FIVE (OMG – 5!!!) of my films selected to screen at my very favorite film festival – the Garden State Film Festival – in Asbury Park, NJ this March 22 – 25!!! I’ll provide more details on each of the films and screening information as we get closer, but in the meantime… here’s a quick summary of each! “The Waiting Room”– directed by Debra Debbie Markowitz and starring Jennifer Jiles, Ciarán Sheehan, Justin Wilson, Noelle Diane and myself. This film has won and been nominated for several awards since starting its festival run last spring and I’m so glad to be bringing it to GSFF! “Therapy, Bro”– an Open Iris Entertainment film, directed by John Hedlund, starring Francesco Nuzzi, Wally Marzano-Lesnevich, Garry Pastore and… yours truly! This will be the WORLD PREMIERE and this Jersey girl couldn’t be more excited to be having it at GSFF!!! 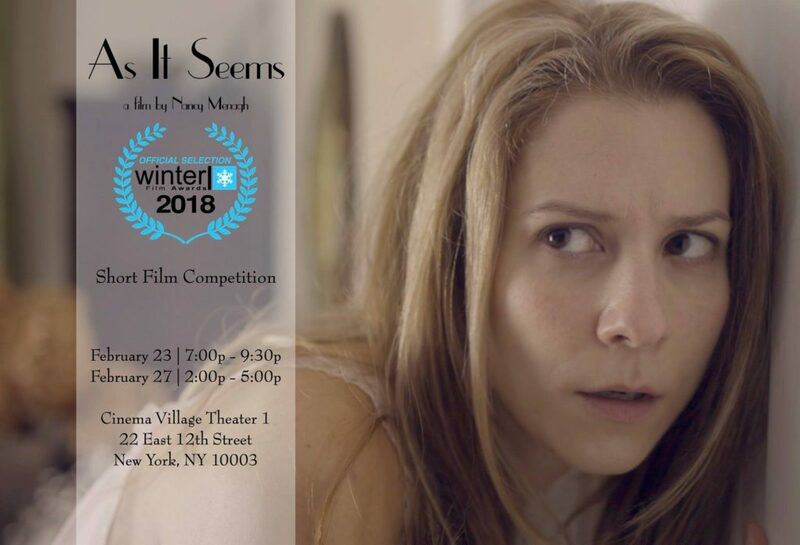 “As It Seems”– written, directed and produced by Nancy Menagh, starring myself, Drew Moore, Cole Johnston and Jo Bellomo. 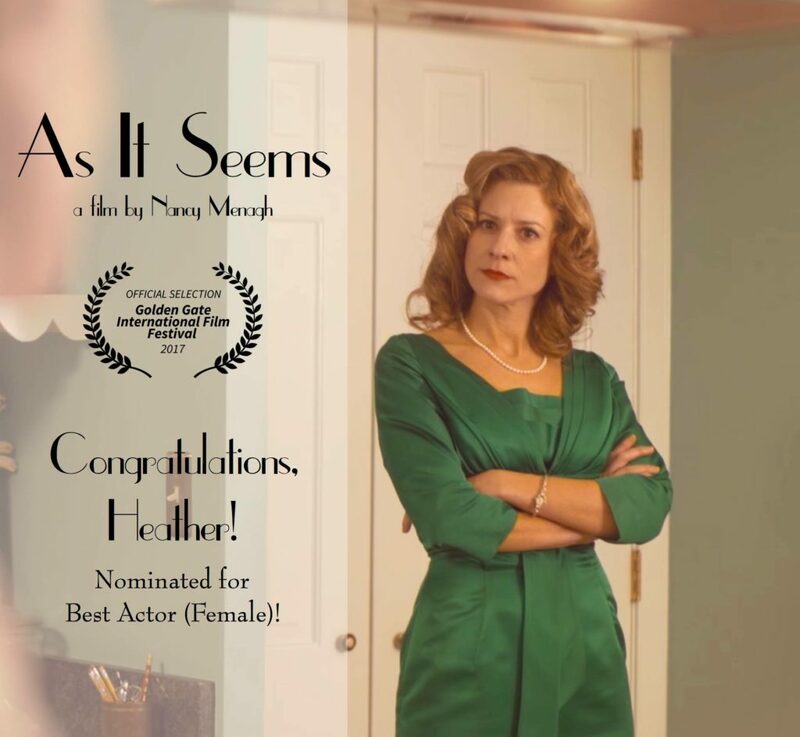 “As It Seems” has either won or been nominated for an award at every festival it has screened at thus far – and the GSFF screening will be the NEW JERSEY PREMIERE! You definitely don’t want to miss this one! 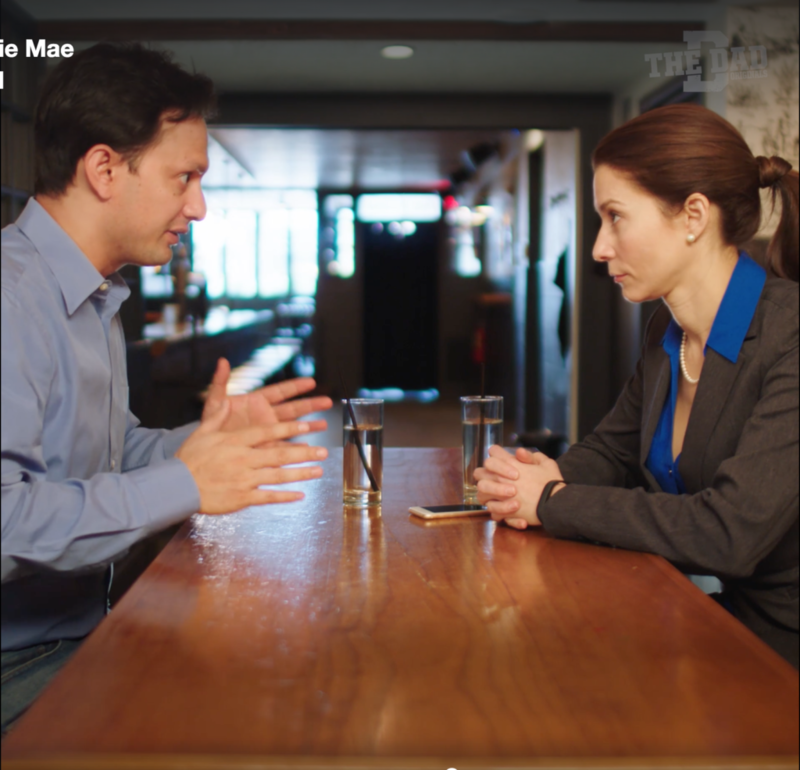 “The Last Visit” – a Manmade Productions film, directed by Mark Clauburg and starring Alexis Lariviere and Dan Berkey. I play a supporting role in this film, along with my friend (and Monmouth County based Jersey Girl Ashley Licata)! This heartbreakingly sweet film has also racked up a ton of awards so far, and I’m looking forward to having it be a part of GSFF! “The Gift” – a Theatre of Terror production, directed by Tom Ryan, starring myself, Adam Ginsberg, Danielle Najarian, John Zion and Sanjeev Surati. This gritty little film just tied for the Audience Award at it’s very first festival! GSFF will be its second screening and NEW JERSEY PREMIERE! SAVE THE DATES!!! MARCH 22 – 25!!! “As It Seems” is Back in NYC! “As It Seems” – A Film by Nancy Menagh is heading back to New York! We are very excited to announce that we will be in the Short Film Competition at the Winter Film Awards in February. We’re set to kick off the festival with a screening on the first evening, but don’t worry if you miss us because we will also have a Women In Film screening midway through the festival! Last SCARY MOMMY Shoot for 2017! More Scary Mommy fun – this time doing an ad for Walmart! So thankful to Artistic Director Nick Fabiano for once again inviting me to play! This spot was a fast-talking, constantly moving dance with the camera and the challenge was exciting! I loved working with our director Ben Stumpf, my co-star Michael Cruz Kayne, and the entire Scary Mommy team! Check it out HERE! Best Actress Nomination at the Golden Gate Film Festival! Holy Cow!!! In addition to our “Best Short Film” nomination, I’ve been nominated for “Best Actor (Female)” at the Golden Gate International Film Festival for my work in “As It Seems“. The role of Annette was my favorite, most challenging role to date. It feels so good to be recognized in this way – Many thanks to my director, Nancy Menagh, to our awesome cast and crew, and to Net Effect Media and the Golden Gate International Film Festival! I’m a happy girl! “As It Seems” screens this Saturday, October 29th, 4:10 PM at AMC Theaters Cupertino.